Your first choice in personal auction agents for the Japanese Car Auctions. New cars every day. Thousands of vehicles each week. Blue Line Exports, is your #1 trusted source for quality vehicles from Japan. Let us walk you through the process and assist you to get the best car possible for your needs. Based in Tokyo, we personally attend used car auctions for pre-bidding inspection so you know exactly what you are buying. We pride ourselves on quick and honest communication to make the process as simple as possible for first timer buyers. Register to get free online access to Japan’s car auction catalog today. Cars tend to have much lower km’s compared to cars outside Japan of the same age. Cars in Japan are generally not driven every day. City roads are crowded and street parking is scarce whereas public transport is cheap and reliable, so people don’t use their cars so often. Couple this with the strict mandatory bi-annual car inspection test (“shaken” in Japanese) and you have some excellent condition used cars in Japan. It’s also very common for people in Japan to regularly change their cars, so there is a large range of great condition, low mileage vehicles available. Buying from auction gives you the biggest range of cars to choose from. Auctions run Monday to Saturday at over 150 locations across Japan giving you over 150,000 different cars to choose from each week. In addition, buying from auction means you are choosing the car that you want, not having some stock pushed onto you by a salesperson. It doesn’t matter to us whether you decide to buy car A, B or C, what matters is that you get the car you want. We have no vested interest in you buying one particular car over another. Why Buy From Blue Line Exports? We are not a high volume exporter, we value quality over quantity and strive for repeat business. Blue Line Exports can check the cars for you, take additional photos and video and call you from the car. Plenty of car exporters will bid on cars purely based on the auction sheet. That’s fine, but the auction sheets don’t always tell the whole story. Let an experienced car buyer personally take a look at the cars you are interested in to ensure you have all the information possible to make the most informed decisions. Blue Line Exports is owned and run by native English speakers. You can always expect perfect English communication when you call and prompt email replies. No confusing or vague English. All Japanese auction sheets are checked by native Japanese speakers and professionally translated into native English. Do You Help Individuals or Companies? We specialize in assisting individuals to find the car they want in Japan. At Blue Line Exports you are not just another dealer buying 10 units as cheap as possible, you are a customer looking for a specific vehicle and wanting the best unit possible. We understand how daunting it is to be buying a car on the internet and take the time to make sure the car you are bidding on is the car you want. A native English voice is always just a phone call away. You can depend on Blue Line Exports for a personalized service. A quick look at a tidy Mercedes Benz (W124) 300TE-24 at the Japanese Used car auctions. The Mercedes Benz W124 chassis is a classic and desired the world over. Made from 1984 to 1995, it was the first official E-Class for Mercedes Benz. Available as a coupe, cabriolet, sedan and wagon, all models are very popular with the king being the E500 / 500E (and its larger engine variants). The W124 Mercedes Benz E-Class wagons are in great demand and we ship them to Germany, Poland, the UK generally. Also if you can find a right hand drive version, the buyers in Hong Kong are keen on them. This one was higher mileage and had been pimped at bit with the big alloys, body kit and aftermarket exhaust, but sunroof, and black leather power seats are always a draw card. Also, 7 seats, with the two mini rear facing seats and no rust in the rear which is a common issue on these – bonus points! 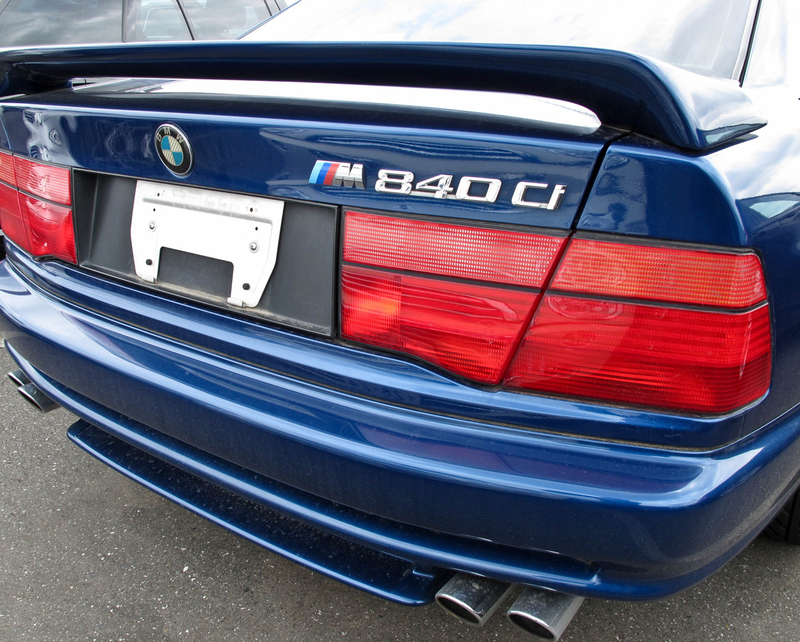 This car was graded a 3.5/C by the auction which usually indicates an average condition car. In this car I feel the reality was probably a little better than that. The paint was nice and glossy, consistent over all panels and panel fit was tight. Interior, the seats have a few scratches and wrinkles, nothing unusual for a car that’s done over 200,000kms. Headlining was clean and tight, no cracks or damage on the dash, interior trim all present and in good condition. There is an aftermarket navi and audio system which does mess up the clean factory look of the dash, but its a bot of a necessary evil with these old cars. Engine – started easily, ran well. Transmission – no clunks or bumps. No smoke, engine bay clean, oil at correct level and looked clean – seems to be a well maintained machine on all accounts. Click the HD button for the good version and please check out the Blue Line Exports You Tube channel for more videos. Get in touch if you are interested in importing a Mercedes Benz E-Class from Japan. Audi RS6 (C5) – A great looking luxury performance machine from Audi – this is the Audi RS6 sedan. Available as a sedan or wagon aka Avant in Audi-speak, this car is made to eat up highway miles in luxury. RS or RennSport (Racing Sport) is Audis answer to AMG from Mercedes Benz and the M cars from BMW – ie the highest performance versions of their line-up. The RS6 has has three versions now with this being the first. Made between 2002 and 2004, the C5 Audi RS6 comes with the legendary Audi 4200cc V8 engine albeit with two turbos bolted on which is good for around 440hp – great sound and performace!! Good looking machines, especially with those big wide wheel arches. Interior, lovely black leather, power Recaro seats and wood dash and door trim. This one was high kms (for Japan), around 130,000kms but looked to have been well maintained and taken care of. Paint and panels were in great condition, interior very tidy, just the usual wear spots. Click the HD button for the good version and get in touch if you’re after an Audi RS6 from Japan. Hello, my name is Lachlan Carter and I am the owner and operator of Blue Line Exports. We are an auction buying agent and export company based in Tokyo. I am an Australian expat who has been working in the car export industry in Japan for over 6 years now. I have extensive experience exporting cars all over the world. My main markets are New Zealand, Canada, Hong Kong, Germany and Poland, but I have exported cars to most countries before so feel free to get in touch and I will walk you through the process.